February 2009 – The Malish Corporation, a global leader in the design and manufacture of floor machine and surface cleaning brushes and accessories, goes green with the introduction of its newest product – the 100 percent recyclable, three-in-one Versa-Scrub Green. The Versa-Scrub Green includes two components: a green plastic block and an attachable scrub brush (sold separately). Both components are 100 percent recyclable. 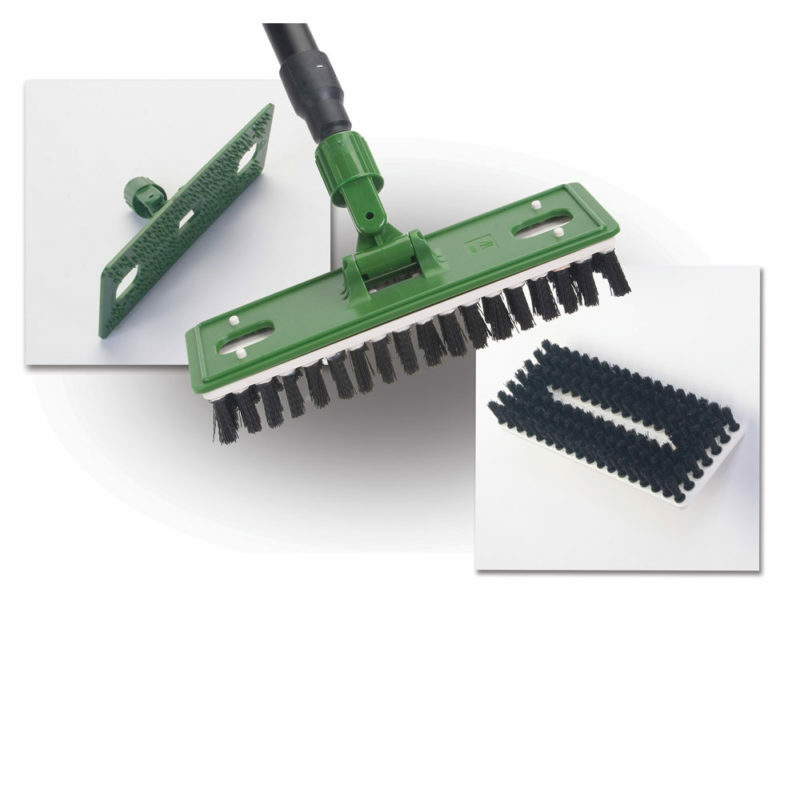 The brush has fusion-welded, chemical-resistant polypropylene bristles and neither the brush nor the block contain metal parts. The three-in-one feature of the Versa-Scrub Green accepts a standard threaded handle that allows for scrubbing, scouring and other types of cleaning through the use of different cleaning tools. The brush attachment features an easy snap-in, snap-out function. The Versa-Scrub Green block features molded-in “hooks” which allow the block to “grab” a standard scrub pad and/or microfiber pad attachments. The block of this versatile cleaning tool includes a swivel action for easier accessibility to difficult cleaning areas such as curvatures in shower stalls, behind toilets, equipment and machines. The improved swivel design resists breakage to ensure optimal use and durability of the Versa-Scrub Green.